Finally the pocket sales organizer you have been dreaming about! 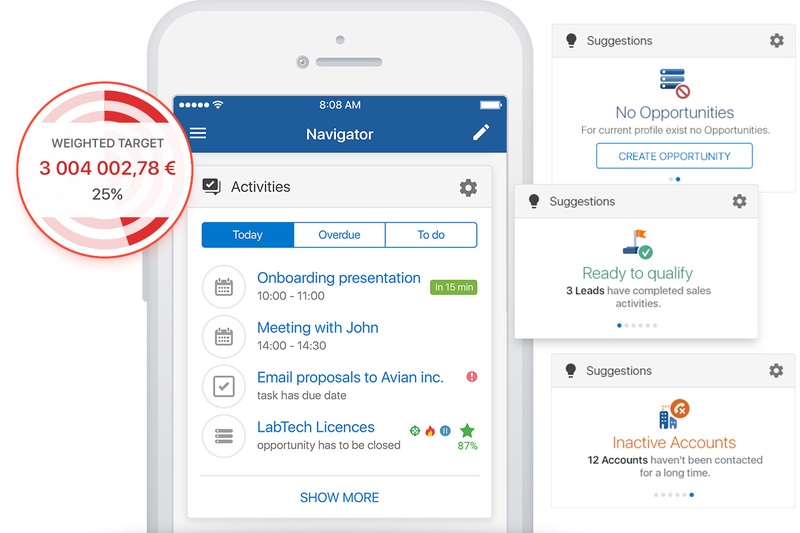 Pipeliner CRM Mobile boasts the most advanced, intelligent (and above all) visual and easy to use, personal organizer called Navigator. This intelligent system is driven by Pipeliner’s AI engine Voyager and is your starting point to every day as well, as it names suggests, a guide to navigate you throughout the rest of day too. No matter where you are, Navigator is a simple click away on your smart mobile device from your Pipeliner CRM Cloud Mobile App. Download Your Mobile CRM Today! Stay focused on your revenue target and always know how your are performing against it plus instantly see how your pipeline is trending. This is the best way to avoid surprises and stay informed! Immediately see what’s on your list of activities for today plus reminders of what is overdue – nothing will fall through the cracks again! And it makes intelligent suggestions on activities that could help you reach your revenue goals! Selling on the go made easy! Pipeliner CRM Mobile is simply the most advanced, visual & effective Mobile CRM App available today. 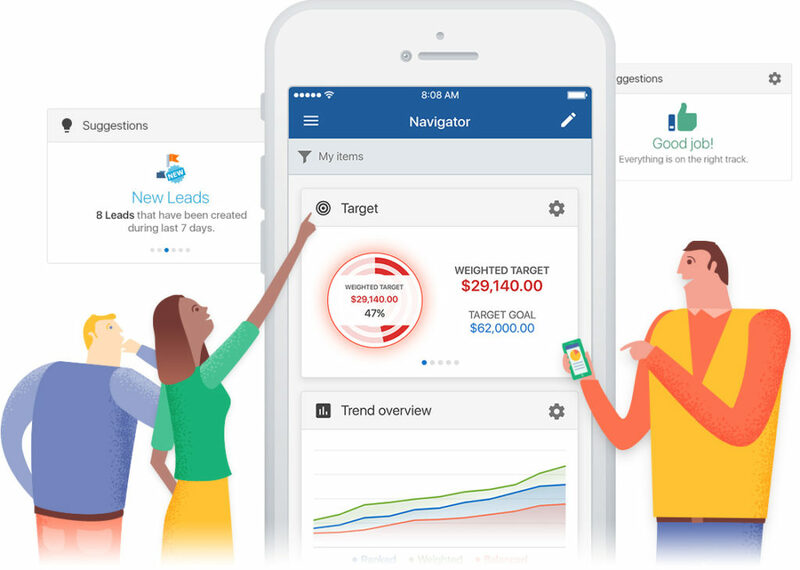 There is no comparable Mobile CRM App on the market today – built specifically for today’s mobile salesperson, it features time-saving and intelligent tools that drive greater levels of efficiency and maximizes effectiveness. Pipeliner CRM Mobile gives salespeople a real competitive edge in the field.